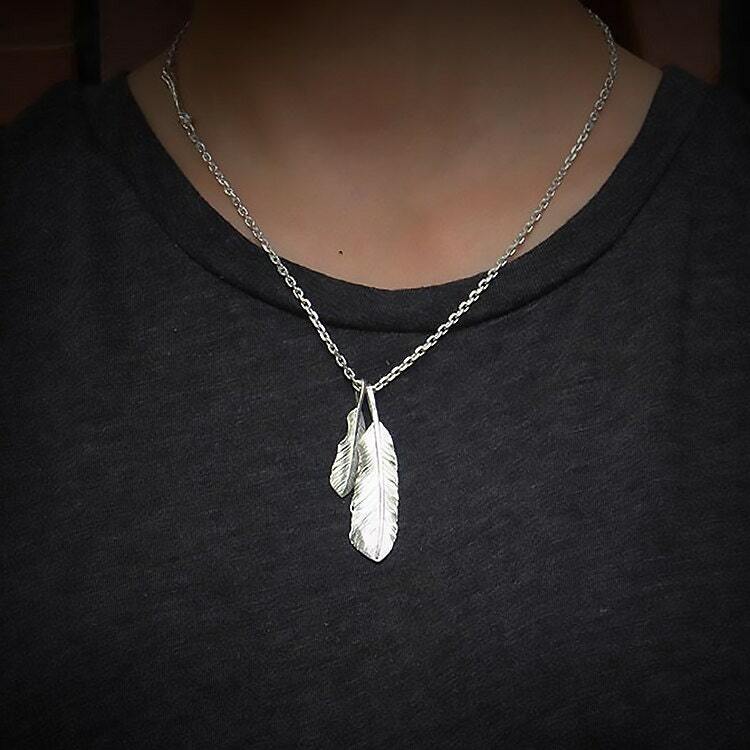 The feather pendant necklace is handcrafted in 925 sterling silver, and is available in two beautiful finishes - shiny silver, and vintage oxidized. 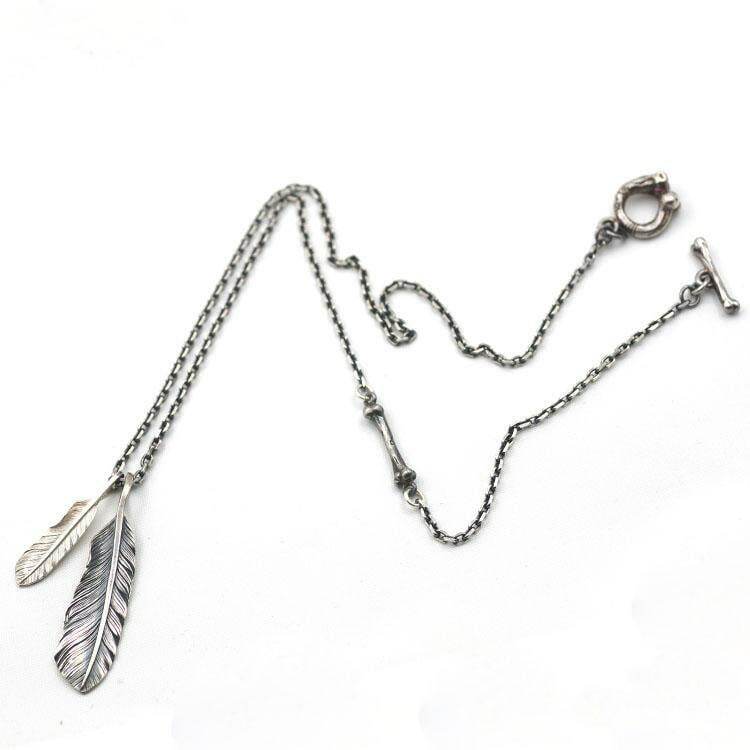 The silver feather pendant necklace is a melange of different charms - interspersed along the length of the slim silver chain. 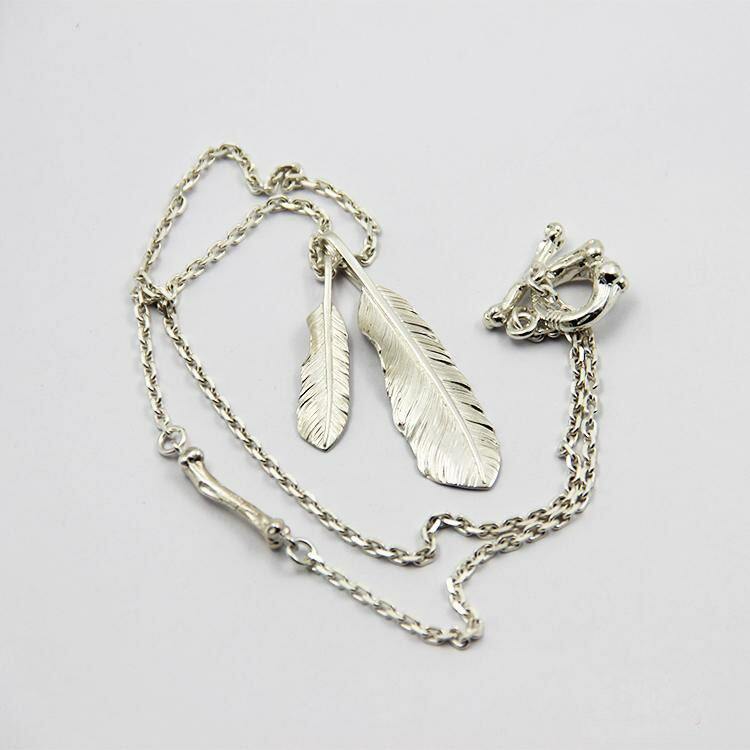 Two silver feather charms - depicting the feathers of the red-tailed hawk, are the highlight of the necklace. The silver feathers are different sized - one is bigger than the other. The hawk feather motif is inspired by popular Navajo Native American symbols. Halfway across the length of the chain, there is a small silver bone arranged lengthwise between the fine silver links. The closure of the chain is another set of stylized silver bones - one bone curves in the shape of a ring, and the other acts as the interlocking bar. 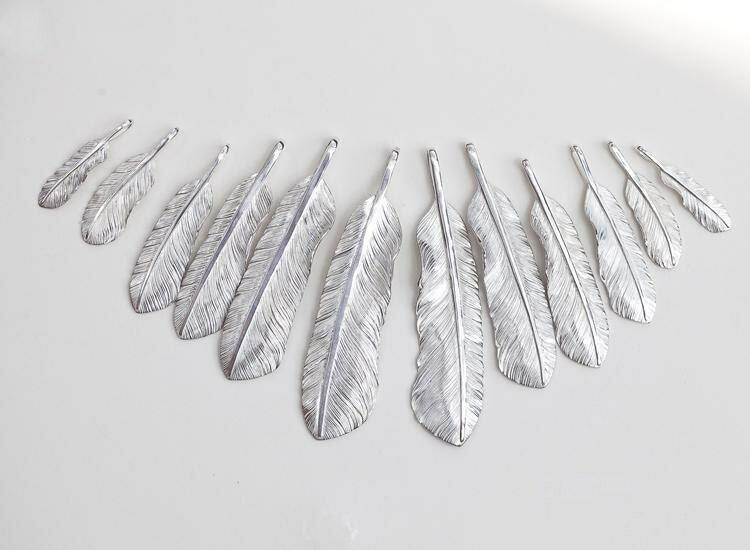 The silver feather necklace is available in two finishes - the original, shiny silver finish, and an oxidized, vintage finish.